"It's about the End Result"
The 2019 Omega Training (OT) program will take the best components from our already successful IHT Program, and combine it with our new and exclusive on-ice and off-ice testing. 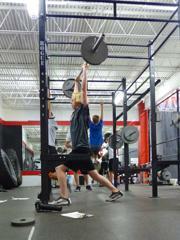 Your hockey player will leave Omega Training each week knowing they are one step closer to their goals. xHockey will instill one common theme among our athletes; IT'S ABOUT THE END RESULT! The Omega Training (OT) Program’s mission is to provide the dedicated hockey player with a progressive and structured, educational and innovative hockey-specific training program that encourages and motivates the individual to reach their highest playing potential and beyond. The Omega Training Program is structured for individuals playing at the Adv. Mite, Squirt, U10, Peewee, U12, Bantam, High School Boys, High School Girls/U15 and Elite. All sessions are held at xHPTF in Lakeville MN. Our 2019 Omega Training program will provide players with a professionally run development program. OT provides both on-ice and off-ice training components with additional emphasis on individual player development. NEW! On-Ice and Off-Ice Testing- utilizing our exclusive xHockeyProducts training/testing equipment. Our coaches aim to push your athlete to continue to improve their scores every week. The END RESULT is what matters! Athletes Train in Small Groups- small group sizes will allow your athlete to get the individualized attention they need to see maximum results. Our Omega Training program is managed and run by a team of experienced coaches with many years of success in coaching and player development. Pay in Full and Payment Plan Options are available. All Deposits are non-refundable! We provide a high-intensity on-ice curriculum, implemented each day by our professional staff. Our on-ice training focuses on speed, intensity, puck movement, small area games, battles, and competitions. In addition, we include individual skill development to better allow our athletes the ability to incorporate their individual skills into the overall development and game situations created during on-ice training. Each player will be tested both on and off the ice throughout the summer. Every other Friday will be testing day, utilizing our exclusive xHockeyProducts training equipment. We will put your athlete through various tests that will focus on every aspect of the game. The results will reflect the athletes hard work and efforts throughout the summer. Our coaches aim to push your athlete to continue to improve their scores every week and will prove to them that IT IS ALL ABOUT THE END RESULT! Our focus is on the development of hockey-specific skills and functional movement. Training will focus on shooting strength, technique and accuracy, stickhandling, slideboard stride power and development, and first step quickness. In addition to skills, developing the athlete's awareness of their body in space as they grow through low-intensity, body-weighted, functional movement in association with the seven primal movement patterns; squat, lunge, push, pull, twist, bend, and gait.